Most people craft goals for themselves at the start of the year. In some cases, it’s in the form of New Year’s resolutions. However, as the year progresses, we find ourselves juggling competing priorities and encountering time challenges that subsequently leave us in a rut, unmotivated, and not accomplishing our goals. It’s not a good feeling, and if no action is taken we find ourselves carrying the same goal over to the next year. Get a jumpstart on 2018 by learning from a master planner and coach on how to define your best year yet. This session is for you if you want a blueprint for creating concrete steps to achieving your goals. Be inspired and network with like-minded folks like you ready to do the work to have a different result. Gain an understanding of the importance of accountability and the role it plays in successfully reaching your goals. Make new connections with other women who can help support your new year aspirations. Enjoy networking and conversation over light refreshments. Simone Morris is president of Simone Morris Enterprises LLC. 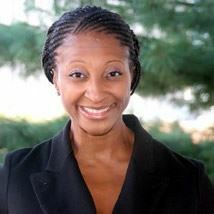 Her company offers employee engagement consulting, leadership training, career management coaching and speaking services. She is the author of Achievement Unlocked: Strategies to Set Goals and Manifest Them. Ms. Morris previously spent two decades in corporate America. She has extensive leadership experience and holds an MBA from the University of Connecticut. She achieved the Associate Certified Coach credential from the International Coaching Federation, as well as the certified Project Management Professional distinction from the Project Management Institute. She also serves as an adjunct faculty member for the American Management Association.